In a recent email, CoralVue announced that former IceCap Inc. president Chris Conti has joined their ranks as their new vice president of Leads Effort. 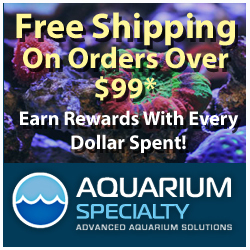 This move comes as an attempt by CoralVue to demonstrate their commitment to sales and customer support, as they have been focusing lately on expanding their operations by developing new products and better customer service, as well as increased personnel. Keep reading below for more information on Mr. Conti, as well as what he could potentially bring to the table. We hope this joining of CoralVue and the former IceCap prez will lead to new products from CoralVue, especially in the lighting department. I’ve always liked CoralVue metal halide setups, especially the Lumen Brights, but they have lacked fluorescent lighting for far too long. Will we see a CoralVue 660 ballast in the future, or at least a marketable clone? That remains to be seen. But I’m sure great things will come from this. What is Your Favorite Zoanthid Polyp on Our List?